Wat is dit voor site? Wij zoeken de goedkoopste boeken op internet. 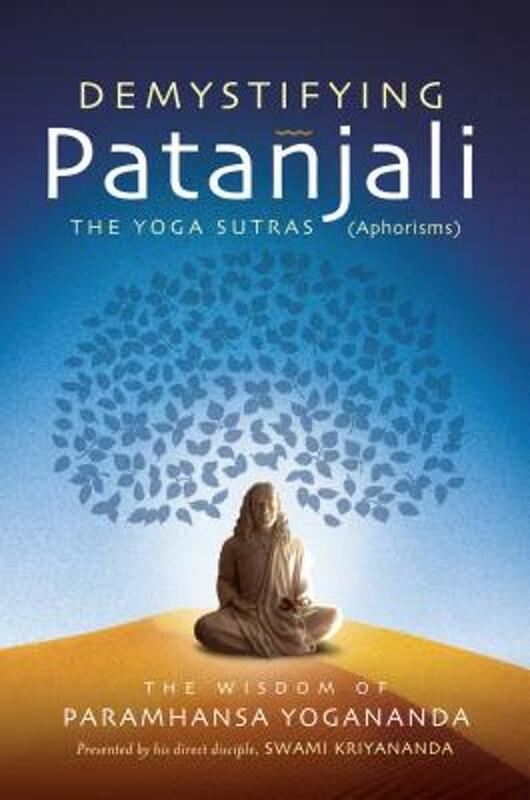 Demystifying Patanjali: The Yoga Sutrasvonden we het goedkoopst op Bol.com voor €10.99. We hebben gezocht in nieuwe en tweedehands boeken. Rechtsonderaan de pagina kan je het boek direct bestellen	via Bol	.com. About 2200 years ago, a great spiritual master of India named Patanjali described this process, and presented humanity with a clear-cut, step-by-step outline of how all truth seekers and saints achieve divine union. He called this universal inner experience and process "yoga" or "union." His collection of profound aphorisms—a true world scripture—has been dubbed Patanjali's Yoga Sutras. Unfortunately, since that time many scholarly translators with little or no spiritual realization have written commentaries on Patanjali's writings that have succeeded only in burying his pithy insights in convoluted phrases like "becomes assimilated with transformations" and "the object alone shines without deliberation." How can any reader understand Patanjali's original meaning when he or she has to wade through such bewildering terminology? Thankfully, a great modern yoga master—Paramhansa Yogananda, author of the classic Autobiography of a Yogi—has cut through the scholarly debris and resurrected Patanjali's original teachings and revelations. Now, in Demystifying Patanjali, Swami Kriyananda, a direct disciple of Yogananda, shares his guru's crystal clear and easy-to-grasp explanations of Patanjali's aphorisms. As Kriyananda writes in his introduction, "My Guru personally shared with me some of his most important insights into these sutras. During the three and a half years I lived with him, he also went with me at great length into the basic teachings of yoga. "I was able, moreover, to ask my Guru personally about many of the subjects covered by Patanjali. His explanations have lingered with me, and have been a priceless help in the [writing of this book]."